Chuck Morris is an award winning artist who resides in Charleston, South Carolina. An illustrator by training, he completed his artistic education at the Ringling College of Art and Design in Sarasota, Florida. After graduation from Ringling, Chuck moved to Atlanta where he worked as an illustrator for Brown Dog Studios. Illustration and portrait projects quickly moved him into a freelance career that would take him to Boston and eventually bring him home to Charleston. His illustrations have been commissioned by design firms, organizations and national publications including The Atlanta Ballet, Atlanta Journal-Constitution, Little Brown Publishing, Ziff Davis Publishing, Cahners Publishing, and Harvard Magazine. For 11 years, Chuck was the exclusive portrait artist for the Harvard Business Review magazine. These days Chuck’s traditional style is evident through oil and watercolor paintings that captivate the viewer. 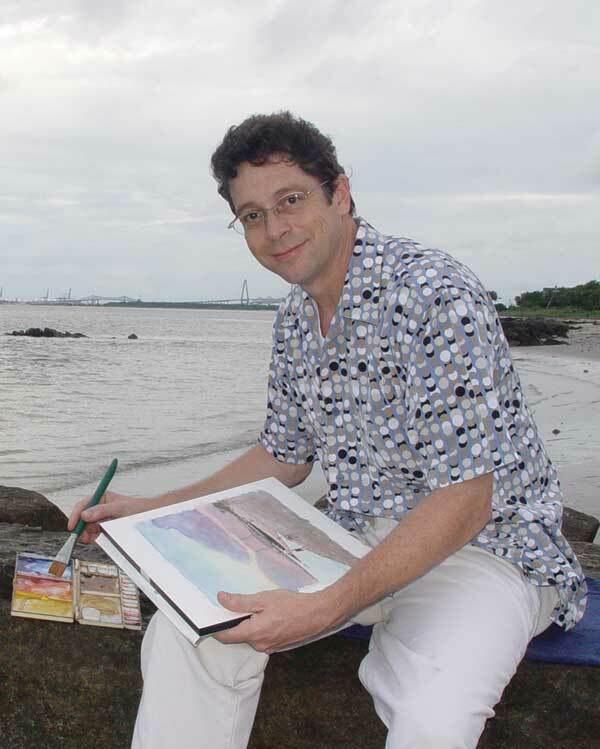 His landscape paintings carry the eye deep into tidal marshes and into the flight of native water fowl. He enjoys exploring the details found in these open scenes while giving the viewer unique perspectives on familiar subjects. Chuck’s love of art extends beyond the palette to the world of the blues harp. For over 30 years, he has worked professionally with some of the legends of the genre. Between the two careers of music and art, he is constantly immersing himself in at least one of his true passions. © 2006-2015 Chuck Morris. All Rights Reserved.